Item # 314659 Stash Points: 5,495 (?) This is the number of points you get in The Zumiez Stash for purchasing this item. Stash points are redeemable for exclusive rewards only available to Zumiez Stash members. To redeem your points check out the rewards catalog on thestash.zumiez.com. The skate gods really broke the mold with Jamie Thomas. From death defying gaps and rails, there isn't many that can do it as well as Jamie does. 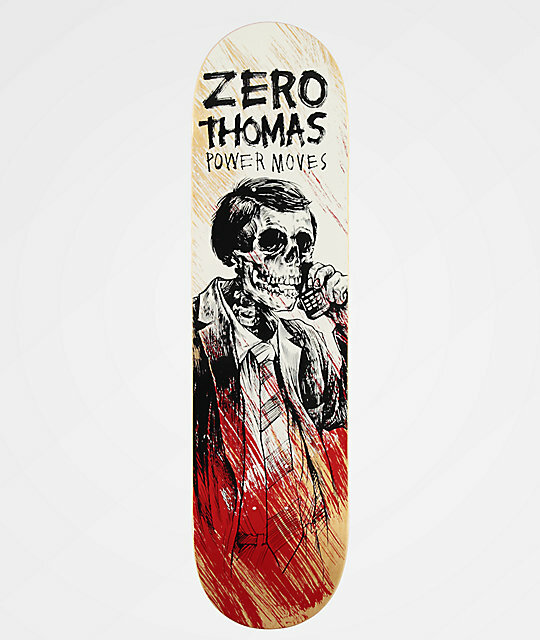 Continuing his legacy, Zero skateboards presents his Power Moves 8.0" pro model skateboard deck. Given an overall medium concave, moderately pitched kick tails and a sinister graphic of a skeletal man in a business suit, this board is a must have. 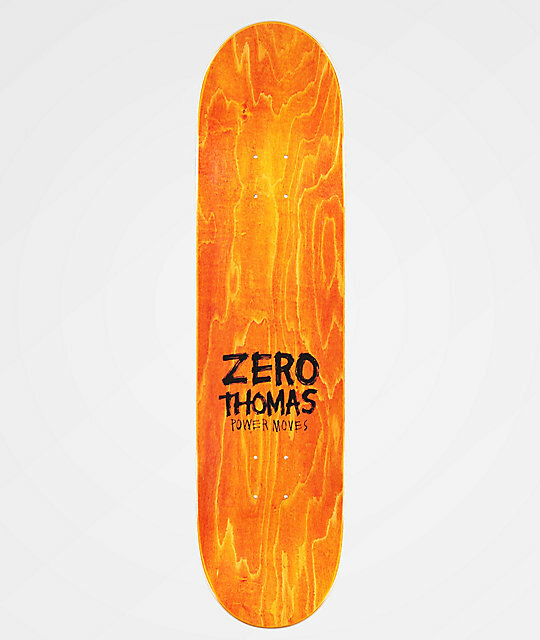 Thomas Power Moves 8.0" Skateboard Deck from Zero. Signature Jamie Thomas pro model deck.